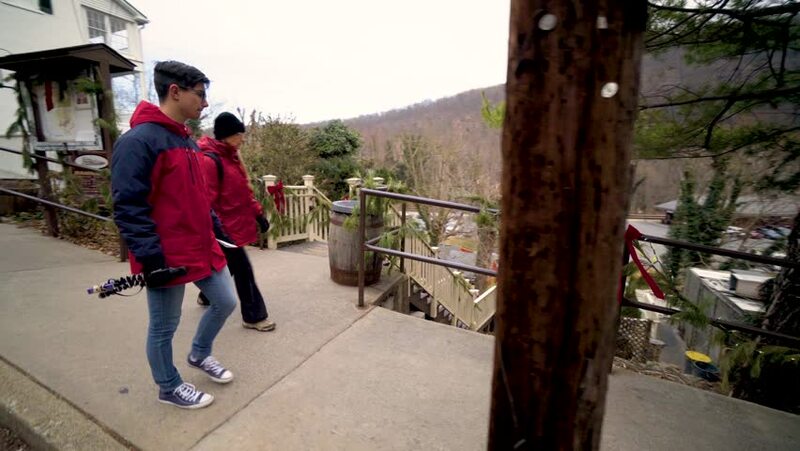 Teenage boy vlogger with camera and mother walk down a brick sidewalk with Christmas decorations on railing in Harpers Ferry National Park, West Virginia. hd00:12Beijing, China - December 2008: Young Chinese child reaching up to his mother to get her to pick him up. Beijing, China. hd00:29BEIJING - CIRCA JUNE , 2015: Visitors to the historic Jingshan Park in Beijing. This former imperial park covers an area of over 230 000 m2, now a public park. 4k00:28Young girl and boy chasing a rickshaw. Then geting in.